Augmented Reality And Virtual Reality Need 5G For Mass Acceptance, But Why? Both Augmented and Virtual Reality are moving with a fast pace, from trending in consumer market to changing the way we live, they really have influenced every facet of our life! However, we are still striving hard to unleash their full potential. Why such is the case? It certainly doesn’t have to do anything with people’s like or dislike! The main reason behind this is both these technologies need better connectivity to perform in an interrupted manner. Therefore, the experts have conveyed that to make sure that these technologies are accepted worldwide, we need 5G technology! As soon as it became clear that we need 5G for enhancing performance of these, the companies like Intel, Sprint, and T-Mobile announced their plans to improve and implement 5G technology. They have even started testing of the same! A few may argue that 4G is sufficient enough for AR and VR. well, they are partially right as the game “Pokémon Go” that implemented both of these was successful enough despite being run on 4G network. However, we have already surpassed that phase and are looking forward to new improvements. Well, in this case, 5G is something we’ll look forward to. Apart from this, there are a few more reasons as well, read further and know more about them! The professionals at ABI Research have conveyed that 5G will not only have a faster speed, but also lower latency rate. The speed and latency are inversely proportional to each other and thus with increased speed latency will be decrease at the similar rate. With reduced time lag, AR and VR could be improved significantly! Also, telemedicine, virtual training will also be improved drastically! We are all aware that processing of AR and VR a plethora of data to be processed. For people who are working locally will never face a problem, but if somebody tries to transfer data remotely, then the current systems, including 4G are inefficient. According to the reports by Qualcomm, doing this with 5G implementation will be no longer a uphill task as it will be improving traffic handling capacity as well. One thing is certain, with more bandwidth you can enjoy faster speed. Even now, the developing countries have to deal with slower Internet connection because of this. Though 5G needs broader bandwidth, developed countries will be able to take advantage of this far before than the developing ones. If we talk about this in terms of AR and VR, then broader bandwidth means ease of transferring data. This will again contribute to improving our experience with AR and VR. With all these, we can conclude one thing with utmost confidence, that is, with 5G, too many improvements will be witnessed. Just imagine games like Pokémon Go, which will run smoothly and wearable devices that are connected to Internet entire day! 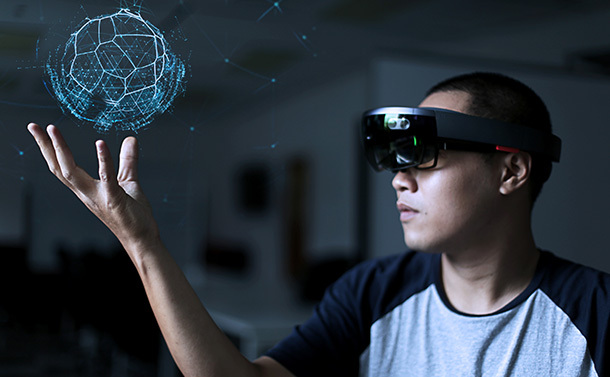 ABI Research has anticipated that there approximately 48 million Augmented Reality glasses will be operating by 2021. That’s a huge number indeed! Also, there will be huge rise in Augmented Reality apps to power these glasses. When Will We See All These Benefits? Though we are ready with the list of things that will be improvised with 5G, it won’t commence out until 2020. Moreover, ABI Research has pointed out that the foundation for this will be laid sooner than this. It will be witnessed in “ubiquitous 4G coverage,” and eventually 5G will be built on top of this. This will be done by the support of more spectral bands and other helpful technologies. It has been said that the VR and AR technology will help us in transforming various facets of our life and we await the same! Although, we can’t wait to have better Augmented and Virtual Reality to get better, but for now all we can do is wait and hope that these don’t make us wait for long. What do you think about this? Do let us know in the comments section below!